SWF Version 1.1 feed back poll! Five Stars! - Works perfectly, little to no changes needed; few to no bugs. Four Stars! - Works well, a few changes needed; few bugs. Two Stars - Lots of changes and bug fixes needed. One Star - Is anywhere from a pice of S***, does not work at all or is pointless or usless. 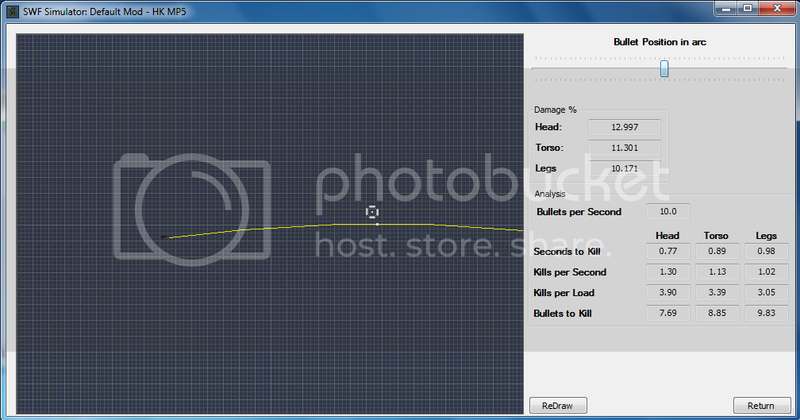 Soldat Weapon Factory Beta version 0.5.1 is still open! Due to overwhelming success of the 0.5.1 beta you no longer need to request a download! You can download the beta on the first page, my original post of this thread. We've updated our Beta! If you have not tried Soldat Weapon Factory try it now. And for those of you who used the 0.5.1 Beta you'll love the improvements we've made. For the full change log see the first post of this tread. Download SWF Beta version 0.5.1! Download SWF Beta version 0.5.2 fix! Question: Quick Beta feed back. Seems like we had a text placement error in the 0.5.2 beta. The fix has replaced the old download and is available now. There should be default hurtings somewhere. And this idea requires skills, but there could be a ''test'' what opens a little soldat screen, where example boogie man stands and you can try that weapon to him. We're finally done! Yes, version 1.1 is here. While this is our last update we are releasing the SC very soon. This update adds the bullet trajectory simulator! It's an amazing tool that lets you not only SEE the path of a bullet but KNOW the damage it will deal and any distance along the way. Download Soldat Weapon Factory 1.1 Source Code! Nice! It would be cool if you could add some screenshot of a Soldatmap to the simulator. In the background. To understand the proportion better. Maybe even allow us to choose our own screenshot. What Illuminatus said. And add also a gostek for that weapon, for now it was uber hard to guess, how long actually bullet travels before hitting ground. But good job, I can see that you have fixed few problems too. Now add a poll for this 1.1 . Glad to hear you like it. 'We' are myself and Teolant. I came up with everything and Teolant programed everything. We are not making new updates any more but Teolant is currently heavily commenting the source code. You can add anything you want when the source code is uploaded. Please, before you stop, make this thing! And also, that you don't need to modify all of the weapons. For an example: Person wants to modify just desert eagle. So, but if he isn't clever enough and doesn't load default weapons.ini, he has to modify all of the weapons. Those what were not modified, has to stay as they are in default weapons.ini. But great job you both. Well, I've given the source code to Vehicledestroyer, it's officially his now. When he releases it (and I have no reason to expect that he wouldn't), then you can add that in yourself. There's a reason I opted just to draw the weapon in the Simulator and not the whole Gostek. Well two. 1) It's not entirely necessary. If you know where the weapon is, and what angle it's on, then you've got all the information you *need* from the Simulator. The gostek then becomes more of an extra thing if someone else wants to add it. 2) It won't be easy. 3) I lied, there are three reasons. Thirdly, Vehicledestroyer, Garciat and I have been working on this for God knows how long. We're kind of done with it, to be frank. How do you determine where the ground is? You can't assume it's always the player is standing, because every Soldat map has a dip, or a drop, or something like that. I also don't think that's really a pressing concern to begin with, but that's just my opinion. Unmodified weapon values remain the exact same as they were when you open file; this already happens. With out feather delay!!! The Soldat Weapon Factory 1.1 source code! I'd love to see gravity changing support in the simulator. Possible that you would add it or not really? When the "Version" textbox is not an integer (I mean, it's 1.1 for example), i can save the file, but can't open it later. That's why I can't even open default weapons.ini. Conversion from string "1.5" to type 'Integer' is not valid. That bug is because of loading File version as integer. And because "1.5.1" isn't valid integer, you get an error. Solution: change "Version=1.5.1" to "Version=1.51" or wait until somebody fix it. System.InvalidCastException: Conversion from string "1.6.1" to type 'Integer' is not valid. ---> System.FormatException: Input string was not in a correct format. I've looked into fixing it but I have no clue how. Version text does not think 1.5.1 or 1.6.1 is a real number because.. it's not. Version text is declared to be a integer; a number. I cant declared to be a Char(acter) or string because it's sorted in an array. I don't understand arrays at all. So the fix for now is to, open the weapon.ini in notepad and change Version=1.5.1 or Version=1.6.1 to Version=1.51 or Version=1.61 then save. Swf will work fine then. I'd love to re-re start SWF development. But I don't feel many people downloaded or even use SFW. I'm just too unmotivated, even though this project still interests me. But, I do have an updated ver. of SWF that I never released.. If someone downloads the source code and can and help let me know. If I can get this bug fix into a new ver. I'll update it. But for now this is something I can't even start to figure out. Can't SWF copy weapon.ini to it's own folder... Then it would change all text into string... Then it would find a dot in "Version=1.6.2 and SWF would delete it... Then SWF would save that file and run... Isn't it possible? .... .... OK I'll try this really soon.